All other information you provide on our Website or Service or otherwise. Third-party Service Providers may have their own privacy policies on the collection and use of your information which either we or you provide them. We may share your personal and business information to our suppliers, advertisers, partners and employees to use that information in connection with one or more of the purposes for which that personal information was collected. We also operate the Website and Service in conjunction with our independent contractors. Our independent contractors may have access to your personal information in providing services to us, or providing you with access to the Website and Service. 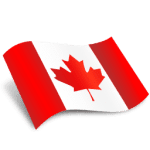 We may use a variety of service providers, servers, advertisers or employees in locations both inside and outside of Canada, which may make your personal information the subject of foreign laws and foreign legal proceedings. We keep your personal information for as long as it is required for the purpose for which it was collected. There is no single retention period applicable to the various types of personal information collected. If you would like to review what information we currently have on file related to your account, or you, please contact us at support@yoapress.com. Our Website and websites we build for you as part of our Service, may place a “cookie” in the browser files of your computer. Disabling cookies on your web browser may interrupt the proper use of the Website and Service.